Salmon fishermen have been building bridges to Carrick-a-rede Island (Rock of the Casting) for over 300 years. 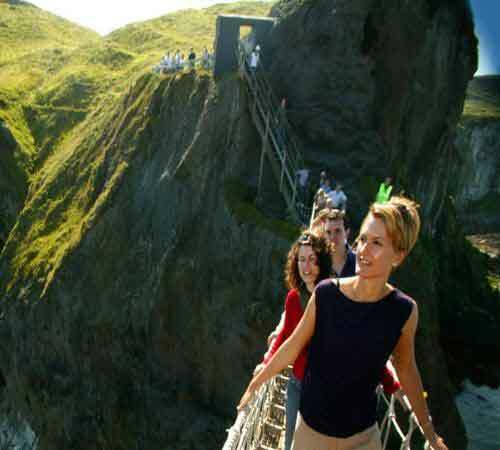 The bridge spans a chasm 20m wide and 30m deep and, despite being perfectly safe, is still a hair-raising journey above the roaring waves below. An essential experience for any North Coast visitor!